From The Times Literary Supplement. 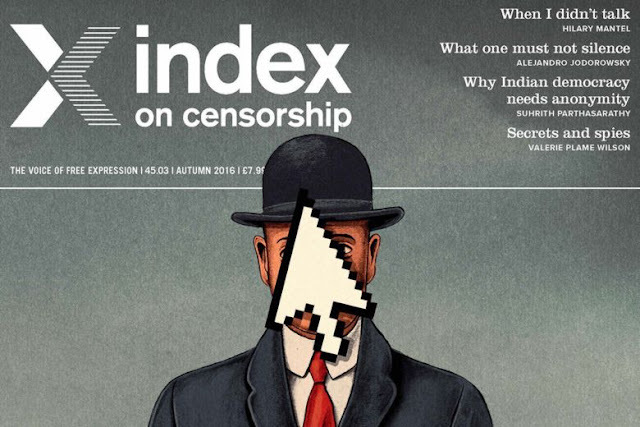 Founded in 1972 by the British author and translator Michael Scammell, Index on Censorship has been dedicated for more than four decades to documenting worldwide censorship and promoting freedom of expression. 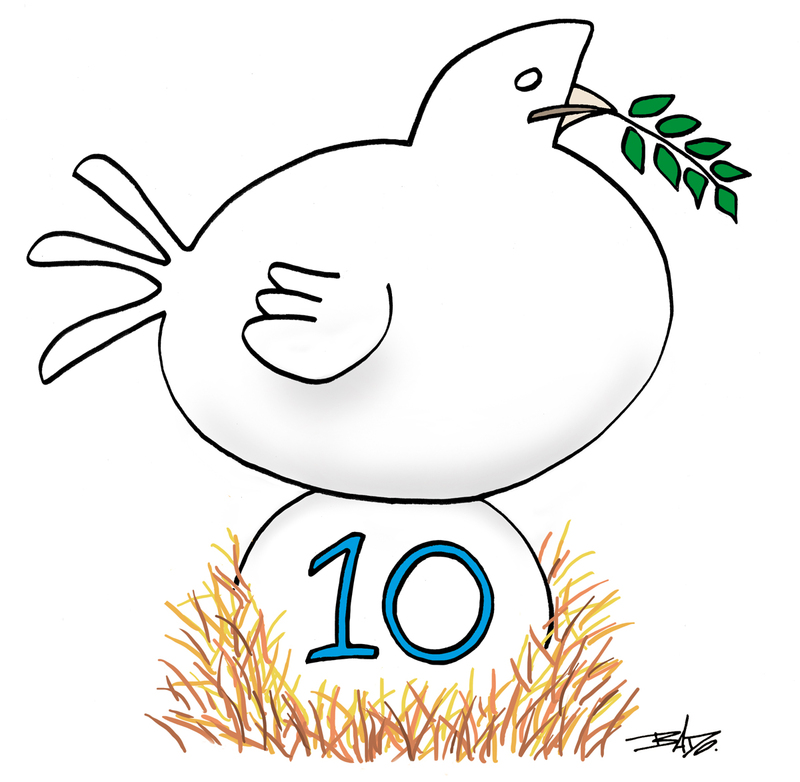 The Society of Illustrators is hosting from October 25 to December 30 an exhibition to celebrate the 10th anniversary of Cartooning for Peace. Not all New Yorker cartoonists are cover artists, and not all New Yorker cover artists are cartoonists. Once upon a time there was plenty of cross-pollination; these days, in a movement begun in Tina Brown’s era the numbers are few (Bruce Eric Kaplan, Danny Shanahan, Sempé, Roz Chast, Barry Blitt, and Harry Bliss are the most contemporary cross-overs that come to mind). 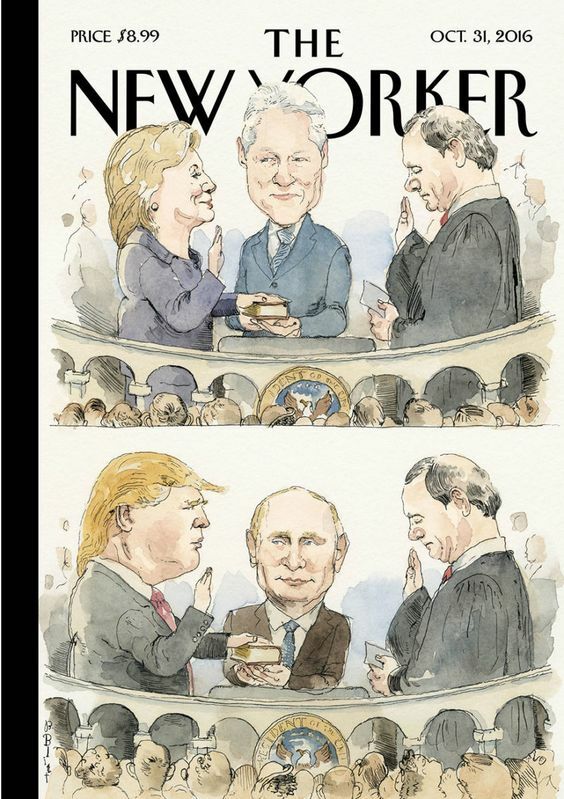 Barry Blitt is the most visible cover artist in that crowd, celebrating his 100th cover with the publication of this week’s issue. On 17 October 2016, freelance political cartoonist, Zulkiflee Anwar Ulhaque, commonly known as Zunar, was stopped by immigration authorities at the Kuala Lumpur International Airport as he attempted to travel to Singapore. From RJ Matson on Facebook. 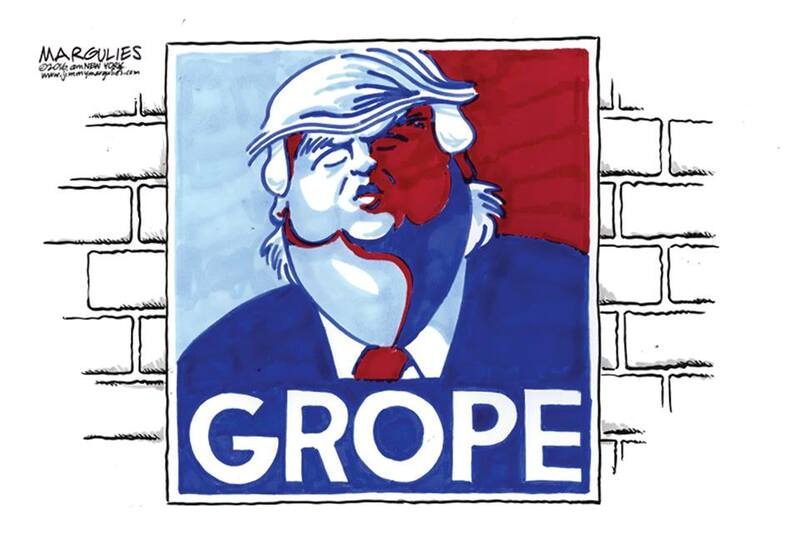 RJ Matson published this cartoon of Trump on July 19. 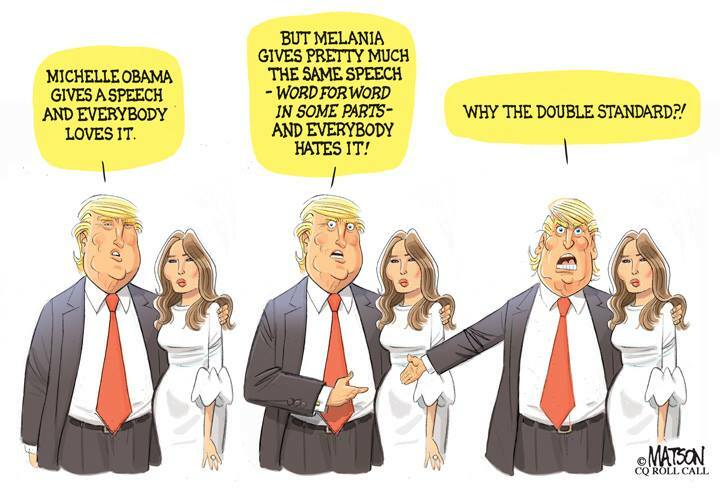 Donald Trump tells the same joke at the Al Smith charity dinner three months later, lifting almost word for word the caption of the editorial cartoon in order to make a joke about his wife doing the same thing with a Michelle Obama speech. Vanity Fair illustrators Edward Sorel, Steve Brodner, Philip Burke, and Robert Risko draw Donald Trump. 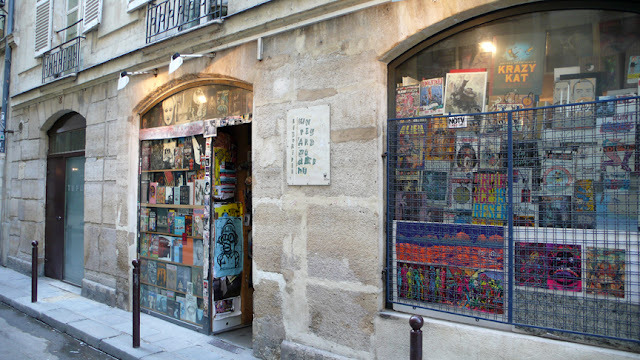 My favourite bookstore happens to be located on the west bank of Paris, in rue Gît-le-coeur, one block east of Place Saint-Michel. A real Ali Baba's cave, it is where I discovered the work of Carlos Nine and found rare books by the likes of Paul Flora, Roland Topor and David Levine. Serbian Cartoonist Dušan Petričić Fired From "Politika"
It's not easy to be a political cartoonist in Serbia. 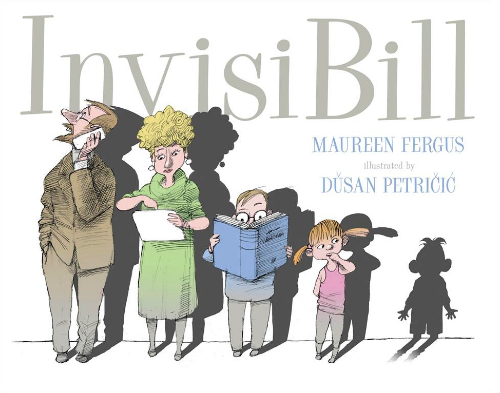 Just how risky an occupation it may be is illustrated by the case of Dušan Petričić, one of the country's most prominent cartoonists, whose work has appeared in The New York Times, The Wall Street Journal, and the Toronto Star. On September 30 his contract with Serbia's main daily newspaper, Politika, was rescinded after seven years during which Petričić's cartoons graced the front page of the paper's Sunday edition. 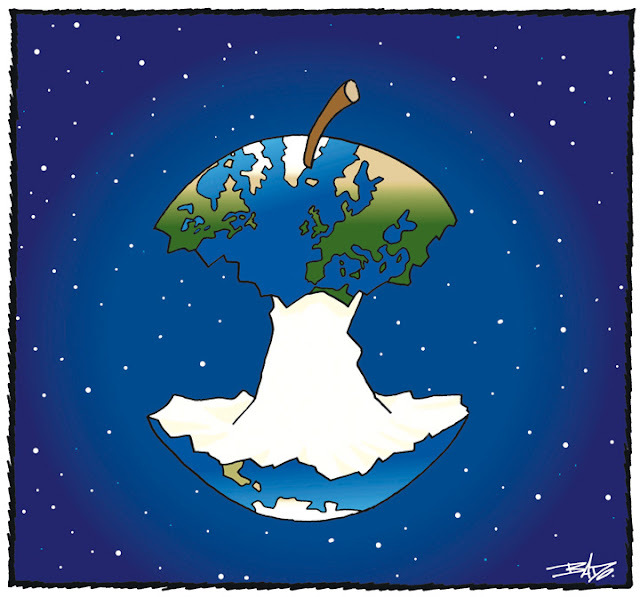 ... this cartoon by Jimmy Marguiles. 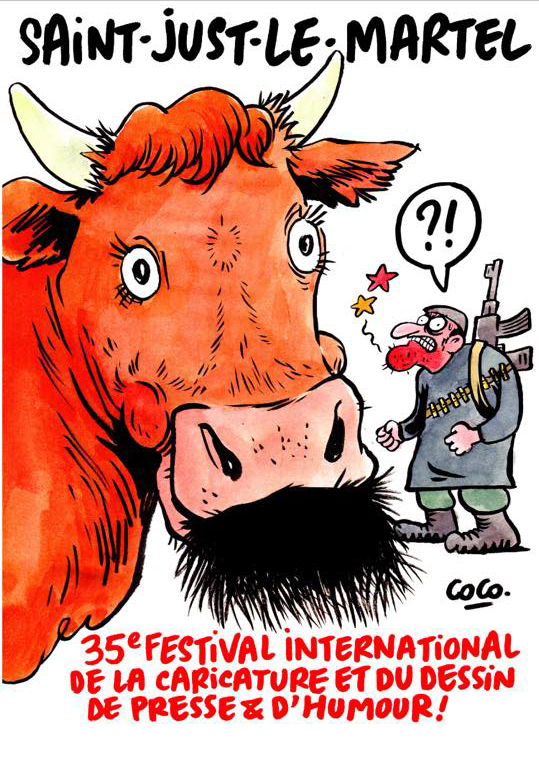 Poster by Coco, winner of the Prix de l'Humour vache 2015. The 35th St. Just-le-Martel International Salon of Caricature, Editorial and Gag Cartoons, held from October 1 to 9, featured tributes to cartoonists Cabu and Siné, who have died recently, retrospectives of cartoonists Bado and Boligan, exhibitions of recent works from Coco, Gibo, Pichon and Samson as well as a review of the year 2016, an exhibition from Cartooning for Peace on the environment and an historic exhibition "Léon Blum: caricatures against the Popular Front". The "Humour Vache" Prize, for the meanest cartoon on show, was given jointly to Michel Kichka and Khalid Gueddar while the Porcelain Prize, for the most poetic cartoon, was awarded to Gérard Gibo. Italian cartoonist Marilena Nardi was awarded the International Press Award. 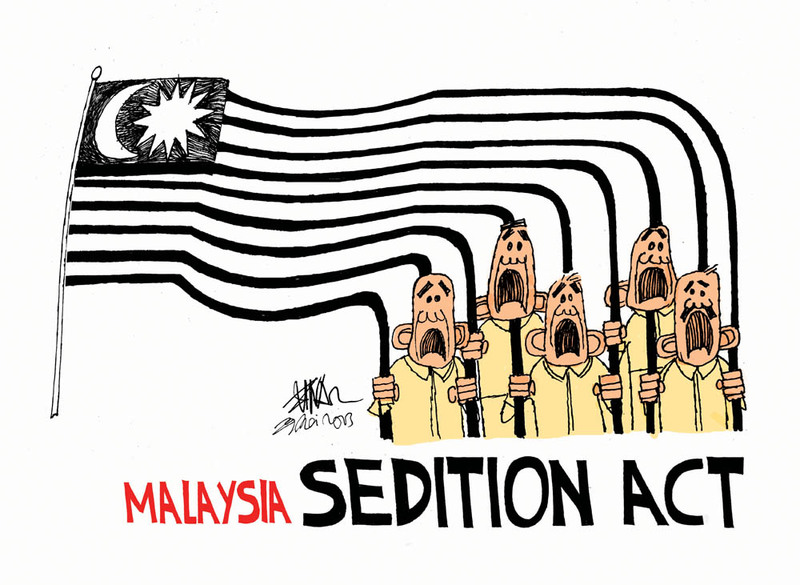 From Political Satire & Freedom of Speech in Latin America. 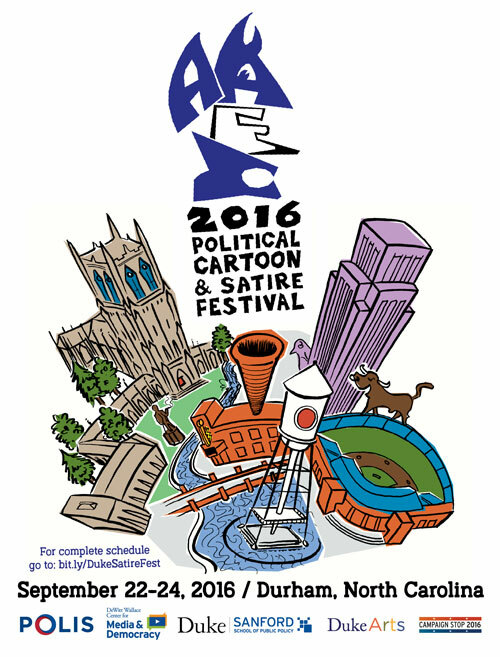 ViceVersa Magazine, in partnership with the Department of Continuing Education and Public Programs at The Cooper Union, is hosting a conference with Latin America’s most bold and controversial cartoonists. 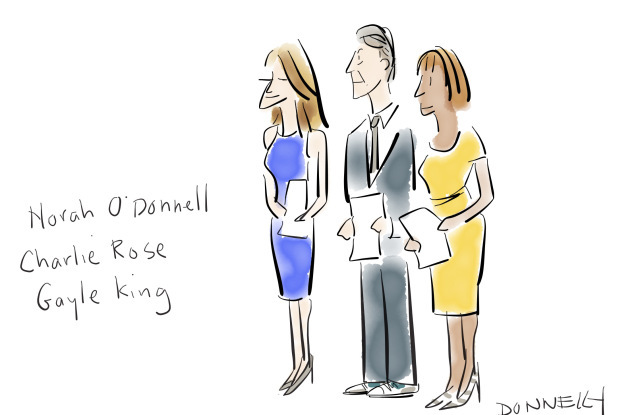 In an effort to reach new viewers, “CBS This Morning,” the morning show hosted by the trio of Charlie Rose, Gayle King and Norah O’Donnell, has added New Yorker cartoonist Liza Donnelly as a contributor. The 35th St. Just-le-Martel International Salon of Caricature, Editorial and Gag Cartoons presents, from October 1 to 9, an exhibition of fifty of my international cartoons. St. Just is situated near the city of Limoges, France.